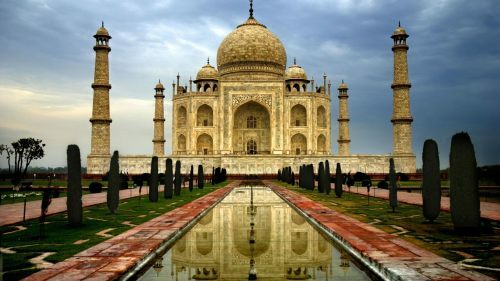 China Eastern is showing a few flights from Vancouver to Delhi, India for $732 CAD roundtrip including taxes. This is 42% below the best typical roundtrip price between Vancouver and Delhi. The tough part with the deal to Delhi is finding dates that don't have overnight layovers in China. Only a few select dates seem to have a reasonable 2.5 to 4.5 hour connection in Shanghai in both directions. For the deal to Mumbai, all of the flights have reasonable layover times, and there are a lot more dates available. 3. Click through from Momondo.ca to the booking site showing the cheap flight price. ... and then try the same dates on Momondo.ca for booking. Update 9/3 - Vancouver to Delhi, India has dropped to $611 CAD roundtrip including taxes. Availability for travel: Sep, Oct, Nov 2016 and late March/April 2017. Click on the departure date box to look for cheap date combinations that are around $635 CAD roundtrip. vancouver, yvr, flight deals, asia, china eastern, , mumbai, bombay, india, bom, south asia, delhi and del. 2 Responses to "Vancouver to Mumbai-Bombay or Delhi, India - $611 to $732 CAD roundtrip including taxes"